There's lots of paramotor brands to choose from, and if you’re just getting started in the sport, it can be difficult to know what the best brands are, and which ones are best left alone. This list contains 9 of the most reputable paramotor manufacturers, and a look at what they have to offer. The list is in no particular order, they all have a good reputation in the sport, so check them all out. Before we get to the list, keep in mind that most paramotors still have little niggles that need fixing by the manufacturer. I don't think there's a brand out there that doesn't, that's why it's important to look at as many brands as possible before making a decision. Air conception was created in France by Laurent Fourgeaud, with the goal of building a paramotor that achieves all of a pilots the most desirable aspects. POWER. AC currently offer the Nitro 200, and Tornado 280 engines. These engines are very powerful, with the Nitro 200 producing 75.4 KG of thrust with a 130 CM propeller, and the Tornado 280 producing 92 KG of thrust with 140 CM 3 blade. WEIGHT. With the Delta magnesium frame, and the Nitro 200 engine, the all up weight is just 19 KG, making this one of the lightest paramotors on the market. RELIABILITY. Let's face it, 2-strokes aren't the most reliable of engines. But when pilots want the lightest paramotor, they're ready to deal with some reliability issues. Nonetheless, the Nitro 200 has proven itself to be a very reliable, low maintenance, long lasting engine. TRANSPORTABILITY. The Air Conception will break down quickly and easily for transport, and will easily fit into the boot of a small car. They've also built the Race split titanium frame, which is specifically designed for travel and easy transportation. Air conception currently offer two different frame options: the Race v2 Titanium, and the Delta, the lightest being the Magnesium Delta that comes in at just 2 KG! Their engines have pull and electric start options, and both the Nitro and Tornado are available with a clutch. The lightest option is the Nitro 200 pull start, weighing in at 11.6 KG. Most people will choose Air Conception because of the low weight design. Lifting just a few kilos more can be difficult for some people, so if you struggle, or if you have back or knee problems for example, this brand could be for you. The Parajet brand was started when founder Gilo Cardozo designed the 180cc XT engine in his garage in England. 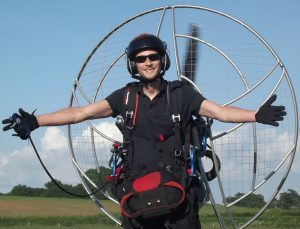 Just five years later in 2005 he launched his first paramotor, the Volution. The paramotor was designed to be super strong, powerful, and easy to transport. Over the years Parajet have continued to focus on these aspects, and the Volution is now in it's third generation, which is a very popular choice for pilots worldwide. The Volution isn't all they have to offer though. You can choose between two more popular foot launched units, the Zenith, and the Maverick. Or maybe you prefer a wheeled machine, in which case the Falco trike may be more suitable. The first thing that comes to mind is strength! The cage and frame are super strong, this is why it's a top choice for instructors who expect the frame to be able to handle some big impacts. The Volution 3 isn't the lightest of paramotors. Expect the combined dry weight of paramotor + engine to be around 30 KG. Much lighter than the Volution, the Zenith features a full CNC machined frame that is designed to be very transportable. This is the perfect choice for travelling, or adventure pilots. 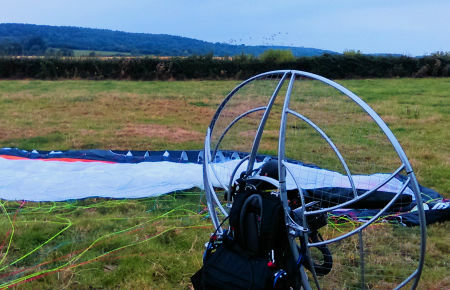 This unit has become one of the most popular paramotors to see at the field. With the powerful Vittorazi Moster 185 engine, it weighs in at just 24.5 KG dry, which is on par with the Zenith. The sleek titanium frame, and stylish fuel tank look fantastic; assembly is super easy, and although the frame is much thinner than the Volution, it's still very rigid and tough. Parajet offer a huge choice of engines for all of their paramotors, from many different manufacturers. This means you can find the correct amount of power for your weight or goals. Based in Slovakia, Scout built the worlds first truly aerodynamic paramotor. Airfoil shaped profiles are used to compensate torque in flight, meaning there's no torque steer, and much less drag than a tubular design. Scout have two paramotors to offer: the carbon cage which has a full lightweight carbon fibre hoop and spars, and the enduro cage which is made from 7075 T6 Aluminium with carbon fibre airfoil profiles. You'll have a choice of 4 engines, including the popular Vittorazi Moster 185. These are available in electric or pull start, clutched or non clutched; and, both units are available with the safe start feature that prevents propeller injuries during startup. Scout paramotors will appeal to those who want the best in safety and handling. The fact that it looks awesome will also attract many pilots. Safe start: prevents the engine revving uncontrollably during startup, thus preventing propeller injuries. Load testing: the Scout has been fully load tested to 2250 KG, which is far higher than any high G manoeuvre will reach. Protection: the Scout offers protection in the event of a crash, with a carbon fibre back shield, and super easy reserve and flotation device mounting. Smart bar: this attachment takes all of the load off the swing arm bolts to eliminate the chance of the bolt shearing. I chose the Scout as the safest paramotor in a recent post HERE. Nirvana have been producing paramotors since the early days of the sport in 1999, and unlike most paramotor brands, Nirvana also make their own engines. They're based in the Czech Republic, and currently have three models to offer. Each of their models have something different to offer, but the Instinct High-Line has proven to be a popular choice. This is their only model that offers either low, or mid hang points (mid hang points are recommended), and a full Carbon-Kevlar frame. This means the instinct frame is lightweight, but at the same time, very strong. Laminate composite back shell: This helps to protect the pilots spine in the event of a crash. 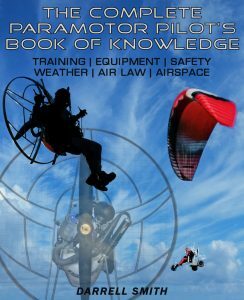 Manual or Electric start: choosing the electric start means you no longer have to risk starting the unit on the ground, which is the number one cause of injury in paramotoring. Weight: although the frame is light, the unit as a whole weighs 28 KG if you choose the NS 160. This isn't the heaviest of paramotors, but it may be too heavy for some pilots. Twist Air: Nirvana call their strut system "twist air", which eliminates engine torque at all speeds and RPMs, just like the Scout. Nirvana's other two paramotors will suit many pilots, but high hang point systems tend to accentuate torque twist, so think carefully before buying. Fly products are another brand with plenty of experience. They're based in Italy and have been designing and building paramotors for over 20 years. They have a huge range of machines, including foot launch and wheeled paramotors. If you're looking for a trike, Fly Products have 9 current models to choose from, including single and twin seat options. Many of their trikes can be flown without a license, but some do come into the higher weight range, so bare this in mind when choosing yours. If you like the idea of flying a trike, but you also enjoy foot launching, Fly Products offer the Foxy trike, and the foot launched Rider. You can easily attach the Rider to the foxy to enjoy a trike flight, or simply unbolt it when you feel like foot launching. This setup comes with a choice of three engines, including the pilots favourite Vittorazi Moster 185, so you'll never be short of power. The trike weighs just 9 KG, and folds very small for easy transportation. The Rider is also very light, with its magnesium alloy construction, and carbon fiber spars. PAP - Based in spain, PAP have been building paramotors since 1989. Bailey Aviation - A UK brand supplying 4-stroke engines, and offering the V5 paramotor. Fresh Breeze - producing a large range of trikes and foot launch paramotors. They're based in Germany, and are a popular choice for pilots worldwide. Mini Plane - Makers of the Top 80 engine and foot launch paramotors, Mini Plane are a well respected company based in Italy. Take your time choosing a paramotor brand, and take a look at my other post that will help you to choose your first paramotor HERE. Hi Douglas, thanks for downloading the eBook. We’re still on edition one at the moment, I will amend the long description on the download page when the it’s updated.